A book giveaway from Roaring Brook Press! 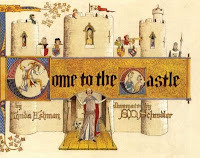 Roaring Brook Press is giving away four signed copies of their book Come to the Castle: A Visit to a Castle in Thirteenth-Century England. I have not reviewed the book yet but it looks marvellous. If you would like to try to win a copy visit this website page. The deadline is June 1st! I am thrilled that Cyprus, the island where I mostly grew up, has nominated someone. Illustrator: Roberto Innocenti - an Italian illustrator who has given the world of children's literature many stunningly beautiful books. You can see a complete list of past winners on the IBBY website. On May 27th, 1907, A very special little girl, Rachel Carson, came into this world. With her book Silent Spring, Rachel Carson drew attention to the fact that the world's natural recources are not able to tolerate years of abuse forever. Eventually damage is done, and the consequences can be far reaching and permanent. 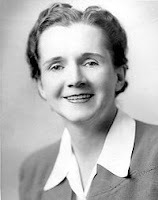 Many people believe Rachel Carson was the person who really got the first environmental movement off the ground. Children can find out about this extraordinary woman by reading Rachel: The story of Rachel Carson by Amy Ehrlich and iIllustrated by Wendell Minor. Elizabeth Bird, from Fuse #8 - a School Library Journal blog - has posted the results of her Top 100 Picture Book poll. 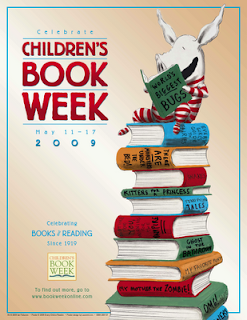 Titles on the list include Where the Wild Things are by Maurice Sendak, and Yoko by Rosemary Wells. Take a look at this list here. I am willing to bet that you will find a lot of old friends on the list. I looked the list over carefully and came to the conclusion that I have read all the books. Some I don't remember very well because I was very young when I read them. However, I have not reviewed all of them. Perhaps that should be a goal that I can work towards. The Children's Choice Book Awards are special because young people are the ones who decide who the winners are. You can find out more about these awards and this year's winners here. Every so often a small bit of magic sneaks in and settles over you when you’re writing. It can happen at any time. It never announces itself beforehand. It tiptoes quietly from behind and takes over, and suddenly, you know what you’re working on is going to be better than it was yesterday. You can’t say why really, but you know. You smile for the rest of the day, even though you don’t say why. And you hope it will happen again tomorrow. I have had moments like this myself. In fact, I had one not long ago as I was writing the text for a picture book. I was wondering what was going to happen next, when it came to me and the words settled onto the page. It was funny, it was perfect, and I laughed out loud. Those few minutes made my day. In her book, Crocodaddy, Kim Norman celebrates a warm relationship between a father and son. As I collected books for Mother's Day and Father's Day this year, I noticed that there really aren't that many books about fathers and their children. We need more books about the role that fathers play in their children's lives. You can see the books I have reviewed so far on the Father's Day Feature page on the Through the Looking Glass Book Review. More titles are in the process of being added for the June issue of the online magazine. Of these books, I particularly enjoyed Every Friday by Dan Yaccarino. relationship between a father and a son, but it also shows readers that the simple things in life are often the most meaningful. In Crocdaddy it is a game that is played in the local pond on a summer's day. These events and traditions are often the things we remember many years later. I remember sitting on the front porch with my father and watching the swallows dipping and diving in the air around us. After I left my parental home I never lived in a place where they have swallows - until now. Now I get to share the dance of the swallows with my daughter. My father 's spirit sits is with me as I share this simple joy with my child. To wrap up this blog book tour, Kim Norman has kindly offered to give one of my readers a signed copy of her book. If you would like the book please send me an email. Good morning everyone. 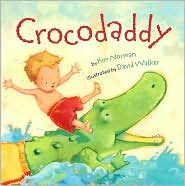 Today I am going to be interviewing Kim Norman, the author of a picture book called Crocodaddy. Marya: Where did the idea for the Crocodaddy game come from? Kim: It was a pretend game we played in our little backyard pool when our younger son was a preschooler. Of course, I was more of a bystander watching the fun between my husband, (the REAL Crocodaddy), and my sons. Just last night, my husband was recalling how they used to climb on his back and he'd toss them off with a splash, just like the father and son in the book. Marya: Why did you decide to share the joy of the this game with your readers? Kim: Well, I thought the word "Crocodaddy" was such a fun word, there must be a book in it. It took me several years of ruminating during my morning walks for the story to evolve. I'd already written one version that my critique group thought was a bit too intense for toddlers, (they thought it might be too scary), when -- one morning during a walk -- the rhythm of the refrain came into my head. "Crocodaddy, Crocodaddy, whatcha gonna do?" I could hardly wait to get home and start writing a new version with that bouncy refrain added to it. Marya: You are an artist as well as a writer. Do you think you might, one day, illustrate some of the picture books that you have written? Kim: I would love to do that someday. My favorite medium is collage. Besides writing books, I'm a freelance graphic artist, but that doesn't really involve drawing skills -- not since the advent of electronic clipart! My drawing skills have withered, I'm afraid, since computers started doing so much of the work for me! But years ago, I used to create collages which I'd display in art shows. When time allows, maybe after my younger son is off to college, I'd like to pull out my art supplies and see if I can't awaken my inner illustrator! Marya: How did you start writing children’s books? 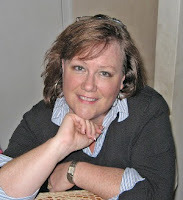 Kim: It has been nearly 20 years since I began writing, trying my hand at this and that genre. I think most writers do that, drifting from project to project, until they find the type of writing best suited for them. (Unless they're very prolific and eclectic, and can write all SORTS of books.) 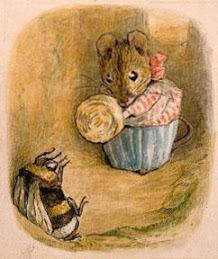 But I suddenly felt very at home once I started writing children's books. I can always count back to the time I finished writing my first picture book, because I know I sat down to write it after putting my younger son, then an infant, back into his crib following a predawn feeding. He's 15 now. I had a LOT to learn, (still do) about writing children's books, but that first story has been revised innumerable times, so I think it's pretty solid now. I've written and sold other books, but that first story is now with my agent, and she thinks it's ready to start sending out again. Marya:What aspect of the book writing process do you like the most? Kim: Definitely the earliest part, the brainstorming and initial rush of getting a story down. If that story happens to be written in rhyme, all the better. Not all my books are in rhyme, but I've found that rhyme is the one form of writing that pulls me obsessively back to the work. Other types of writing, I tend to procrastinate, like a kid ignoring her homework. Very bad habit! I also like the final polishing stages of picture book writing, where you're honing each word, which often includes cutting words. It's kind of fun, seeing how bare bones I can make it while still retaining the flavor of the story. Picture books SHOULD feel a bit bare, when you're reading just the manuscript. If it feels too complete, it probably means you've forgotten to leave room for the illustrator to tell some of the story. Thank you Kim for a great interview. I hope you enjoy this week, and that you share lots of splendid books with the children in your lives. captures the essence of a summer day, and she also celebrates the warm relationship between a father and his little son. Here is my review of the book. With great courage, strength, and cunning, the little boy sets about hunting the great Crocodaddy. He jumps onto the Crocodaddy’s back, determined to “tame” the wily beast. It is not an easy task, for the Crocodaddy has many tricks up his sleeve. Who will win this epic battle? To capture a special summertime adventure shared by a father and son, Kim Norman uses engaging rhymes that have a bouncy and infectious cadence. Some children might guess what the Crocodaddy is, but the suspense is tangible nevertheless. Paired with David Walker’s expressive artwork, this picture book is a joy to read and to look at. Labels: Crocodaddy, Kim Norman, review. A few months ago I read the first Olivia Kidney book, and I really enjoyed the experience. The book is very different, full of quirky characters, bizarre encounters, and strange adventures. Olivia herself is a tough little person who has an uncommon gift, and who has been dealt some very unfortunate cards in her short life. Wanting to better understand where Olivia Kidney came from, I decided to interview Olivia's creator, Ellen Potter. Marya: The characters in “Olivia Kidney” are almost all very strange indeed. What prompted you to make them this way? Ellen: You want to know the funny thing? Nearly every character in Olivia Kidney is very loosely based on a people I knew as a kid, growing up in an apartment building in NYC. There really was a woman who had a “farm” in her apartment, with chicken and rabbits (it was the adoption of a rooster that was her undoing). There was a family with eleven children, all of them fabulously freckled. The frightening Sidi was based on my friend’s tall and intimidating mother who kept her apartment roasting hot for her beloved plants. And as for the vicious but tiny pirate Master Clive, there was a little man who lived in the building—no taller than the average nine-year-old—who was always so dapperly dressed and adorable that as a child I imagined he must be deeply sinister. I’m still not convinced that he wasn’t. Marya: Though she does not fully understand it, Olivia is grieving the death of her brother. Why did you add this component to what is a mostly funny book? El;len: It wasn’t a conscious decision. I almost never know what’s going to happen to my characters when I first start a book. Instead, I begin with a character that interests me—in Olivia’s case I admired her dry sense of humor and her aura of self-possession—and then I “stalk” them to find out what they are made of. It’s a fairly terrifying way to write since I never know what’s going to happen next. Marya: Olivia encounters a ghost is very matter of fact – and not at all spooky – way. Why did you choose to make the ghost so normal? Ellen: I’m glad that you didn’t find Branwell at all spooky. That makes sense since he doesn’t know he is a ghost at first. In fact, I didn’t know he was a ghost at first either. That was another piece of the story that took me by surprise. I just figured Branwell was the good-natured older brother of the Biffmeyer gang. I didn’t realize he was a ghost until nearly halfway through the book, when his “mother” didn’t seem to be able to hear him. Once I realized his secret I did have to backtrack in the story to make him more invisible to everyone except Olivia. The other reason I wanted to keep Branwell un-spooky is that most people I know who have seen a ghost say that it was not a scary experience at all. Okay, I’ll fess up, and hopefully your readers won’t think I’m a crackpot: Years ago, I also saw a ghost. While I was in college, I lived in the basement room of an old house. One night I woke up and saw a face on my wall, looking at me. Then it vanished. It sounds very creepy when I describe it, but in fact it felt perfectly natural and not at all spooky—and believe me, I’m a mega-chicken! Marya: The stories that are woven together in the book are quite involved. How did you keep track of all the threads so that you could give your readers a clean conclusion? Ellen: I’m a big fan of “strange connection” stories. I love hearing about couples who met in tennis camp when they were 8, and then lost track of each other until someone set them up on a blind date twenty years later. Or twins who were separated at birth and wound up stuck in a busted elevator together. Stories like that make me want to pay more attention to everything and everybody. Since my mind naturally seeks connections, I think I was hyper-attuned to possible ties between Olivia’s neighbors. Still, the story threads seemed to connect themselves, and I only realized how these people’s lives intersected a few pages before the actual revelation. For instance, I had no idea who the mysterious passenger was on the SS Rosenquist until the old lady next door told her story to Olivia’s father. Of course, once these connections revealed themselves I did have to go back and edit previous sections to make it all seamless, but I was often surprised at how little editing needed to be done. The connections were there all along, I just never noticed them. The added bonus of working this way is that I’m not telegraphing anything to my readers, since I’m pretty clueless myself, so they can be genuinely shocked by what happens in the story. Marya: You give a lot of classes and workshops. What do you like about doing this work? Ellen: I’m always astounded by how many people—both kids and adults—want to write. I’m also astounded at how many of these same people feel like they don’t have the time or they’re not smart enough or creative enough. I love being able to prove them wrong in these workshops. Marya: What do you enjoy about visiting classrooms? Ellen: Classroom visits are simply one of the great perks of being a children’s book author. What’s more fun than walking into a room filled with a hundred people who are really happy to meet you, and are not too inhibited to screech? During these visits, I try to convey that the act of writing is at once magical and every-dayish. Yes, writing can be very witchy, and you have moments where you feel you are connecting to the divine or whatever you want to call it. But that doesn’t mean you need to be a “sensitive genius” in order to be a professional writer. You only have to be curious and interested and as tenacious as a pit bull. Also, you have to not mind waiting tables for several years. Marya: You have a busy life. What kinds of books do you like to read when you have a little time to yourself? Ellen: I keep trying to read books for grown-ups, I really do. But they are often so relentlessly sad that I put them down and pick up my beloved children’s books instead. Of course, some of the children’s books are sad too but at least the characters seem to have some fun before the sad parts come along. Lately, I’ve enjoyed Gilda Joyce, Psychic Investigator by Jennifer Allison and Anne Mazer’s Sister Magic series. And ok, I’ll admit it . . . the Twilight series too. I especially love dead authors like E. Nesbit’s, Ellen Raskin, and Edward Eager. Marya: Do you write every day? Yes, I absolutely write every day. Then I run on the treadmill for an hour, and after that I eat a hardboiled egg with whole-grain toast. Then I meditate on the wisdom of living in the sacred present. Okay, I exaggerate. It may be closer to the truth to say . . . I try and write every day, but sometimes I just don’t feel like it so I don’t. Also, I occasionally walk on the treadmill for about 15 minutes at a pace that a senior citizen would find snoozy. Then I eat a hard-boiled egg chased by a handful of whatever cookies are in the cabinet. After that I meditate on things I can worry about. Then I call my husband and he tells me not to worry about those things. Really, though, it is best to write every day if you possibly can. I think it’s a lot like a relationship with a friend. When you talk to that friend every day, you are so entrenched in their world that the conversation is instantly easy and flowing. However, if you wait several weeks, or months, to talk to that friend, there is going to be a “catching-up” period that lacks the flow of the every-day conversation. It might feel awkward until you can get back into the groove, and by the time the groove is back your friend might have to leave to get her sofa re-stuffed. That’s why writers should write every day if they possibly can. Marya: What did you like to read when you were Olivia Kidney’s age? Ellen: I was a maniacal reader when I was a kid. Some of my favorite books were Harriet the Spy, A Wrinkle in Time, The Secret Garden, and Charlie and the Chocolate Factory. And when no books were available I read walkie-talkie instructions, the back of Cocoa Puff boxes, and the washing instruction tag on my scarf. What a delightful interview. You can find out more about Ellen on her website. An interview with Steve Augarde, author of The Various trilogy. Good afternoon everyone. 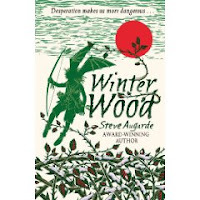 I recently read the third book in the Various trilogy, Winter Wood. In this series Steve Augarde explores a young girl's encounters with several tribes of "little people," and she discovers that she is not the first person in her family to meet the fairy folk. I was thrilled to be able to interview Steve, who is not only a superb writer, but who is also a wonderful illustrator and paper engineer. Marya: The stories in your Various books are quite complex and involved. Did you create the history of the Various before you began writing or did it evolve over time? Steve: It evolved over time. I had no idea when I began writing that this story would develop into such a massive project. Marya: Did you draw on fairy tales and mythology at all to write your books about the Various? Steve: The inclusion of elements from mythology and traditional fairy tale is deliberate, but I hope not too heavy handed. There are echoes of Little Red Riding Hood, Hansel and Gretel, and Robin Hood, as well as half-references to Greek mythology. Pegs isn’t so very far from Pegasus, after all. The purpose of teasing the memory in this way is to make the readers feel that the Various inhabit a real world from which some of the old legends might have sprung. Marya: Why do the Various decide - in Winter Wood - that they need to leave and move on? Steve: The Gorji (human) world is closing in on them. They know that sooner or later they’re going to be discovered. Their time is short. Marya: The Various speak a number of dialects that are very interesting. Where did the inspiration for the dialects come from? Steve: The dialect is mostly local Somerset – with a little bit of old European thrown in. ‘Renard’ for example is French for ‘fox’. ‘Corben’ for ‘crow’ has roots in the French word for ‘raven’ but could also be Norse or Germanic. The name for the character Maven-the-Green comes from the Yiddish word ‘maven’ meaning one who passes on knowledge. There are also one or two gypsy, or Romany, influences. ‘Gorji’ is close to ‘Gorgio’ the Romany word for a non-gypsy. ‘Hotchi-witchi’ is a Romany word for ‘hedgehog’. It’s not necessary for the reader to know any of this. But I think that rooting dialect and language in this way can give it authority and credibility. Marya: Did you believe in the “little people” when you were a child? Steve: Probably. But ‘little people’ rather than ‘fairies’. Leprechauns, Will o’ the Wisp, Cornish piskies, Scots kelpies – these seemed more possible than winged Titania. Marya: You did the illustrations for the Various books and they are quite beautiful. How did you create them? Steve: I use scraperboard. This is a type of card, about the same weight as mounting board, but with a smooth clay surface. The technique involves inking this clay surface and then working into it with a scraperboard tool - scratching away the black ink with a blade, in order that a white underlayer shows through. The blades are available in various shapes. Scraperboard usually comes ready-coated with a black surface, but I prefer to use white board and apply the ink myself. This means that I can paint in the general framework of the illustration and there will be less ink to scrape away. Marya: In addition to writing, you also illustrate and do the paper engineering for books. Which of your various (no pun intended here) hats do you enjoy wearing the most? Being able to switch from one skill to another is how I’ve survived. Some might say I’m multi-talented, others might call me a jack-of-all trades. But it beats digging ditches either way. Marya: Have you always loved to draw? Steve: Yes. My dad was a pretty good artist – a sometime scenery painter before he got married and had to look for a ‘proper’ job. He was encouraging of me as a child, and there was always a pencil around. Paper was in shorter supply. At home I used to draw on the bits of card that came in Shredded Wheat packets. Marya: How did you get into the children’s book world in the first place? Steve: At art college. I was on an illustration course, and one of the projects we were given was to produce some chapter heading drawings for three Hans Anderson stories. Looking at the work of Arthur Rackham and Heath Robinson inspired me to try and find publishers who would give me a chance as a children’s book illustrator. And they did. Marya: The writing muse is a fickle thing. Do your best ideas come to you at certain times or in certain situations? Steve: Yeah – whenever the mortgage is due. Seriously, if you want writing to be your job you’d better write something that you can sell. And your work is more likely to sell if you believe in it yourself. Ideas are cheap and plentiful, it’s fashioning them into something you can believe in that’s the hard part. And children know. You can’t sell them short. Marya: What kinds of books did you like to read when you were Midge’s age? Steve: Malcolm Saville, Arthur Ransome, Rider Haggard, Captain Marryat – the usual suspects. I try consciously to write the kind of books that I would have loved as a twelve year old, and I never forget how wonderful books were to me at that age. I won’t knock something out for the sake of it. It has to come from the heart. 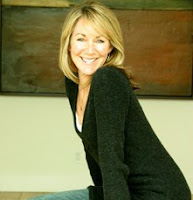 If you can move yourself, then you’ll move others; a piece of advice my publisher gave me, and one worth hanging onto. You can find out more about Steve Augarde on his website. Labels: Steve Augarde, The Various, Winter Wood.